I wanted to post this before Christmas but I had some computer issues, so it's a little late. But, maybe you have some upcoming baby showers or a new little one on the way. Here is one gift idea for the little loves in your life. 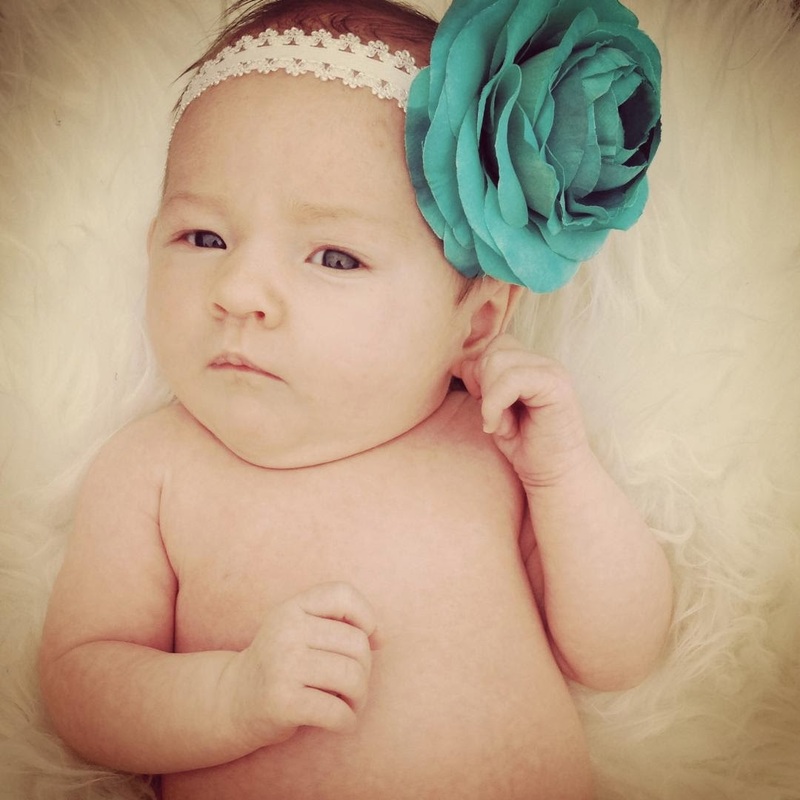 I recently became an aunt for the 7th time :) this is my 6th niece- isn't she a doll? Her mama requested some soft and cuddly blankets and I set out to see what I could do. I found all of the knit fabric at my local Joann's store as well as the pink and purple minky fabric. The white cuddly fabric was from my stash. I really loved these knit prints- so fresh and fun for a little one. I know there are probably a million tutorials out there so I didn't really do a step by step photo tutorial of this one. I took my two fabrics and cut out approximately a 34 inch square. Place them right sides together and sew around the edge leaving a 3 inch opening to turn. Clip the corners and turn right side out. Hand press your fabric as best as you can to get it to lay flat. Then edge stitch all the way around to close the opening. I then stitched all the way around again about 1/4 inch away from the first line of stitching. And you're done - Enjoy! 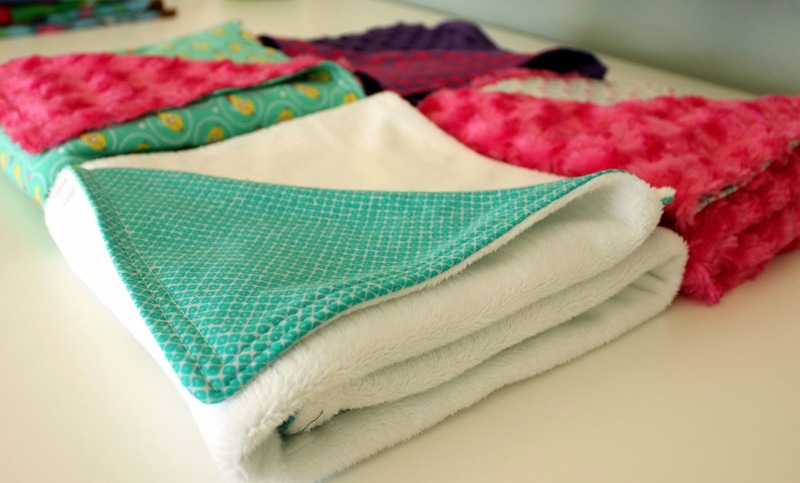 I definitely love seeing all these super soft blankets all nestled together :) They look so great to give a newborn :) Great Job!